There are currently 3,286 users on this website. 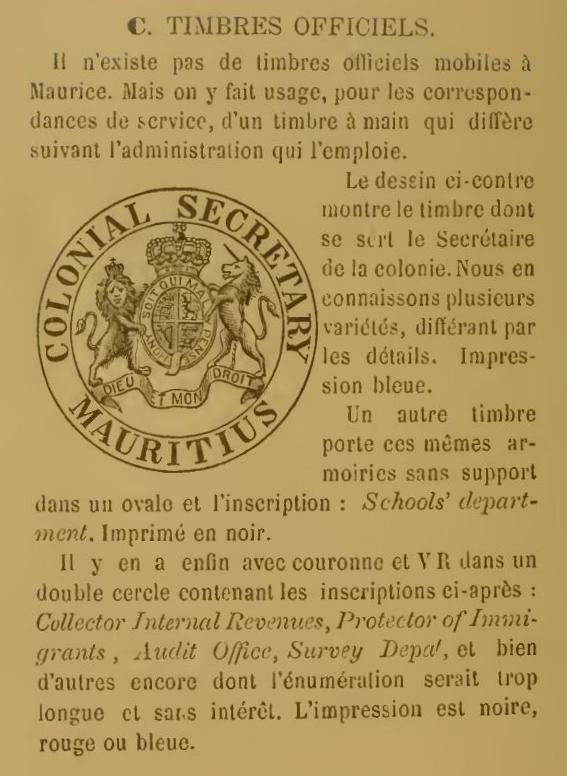 Mauritius : On Steiner Pages. 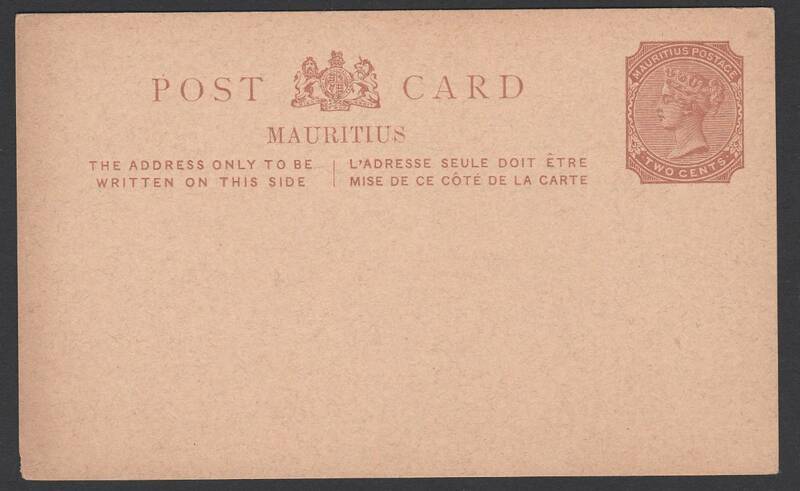 I believe the "21" indicates the office at Curepipe Road rather than Port Louis. 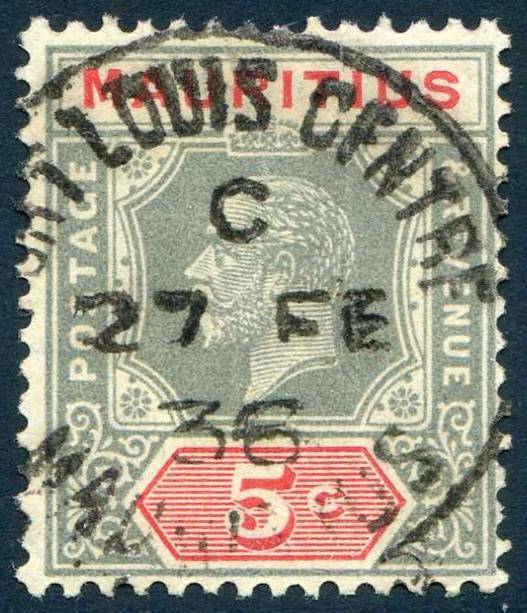 Does not appear to change value. Excellent knowledge there, thanks cj. 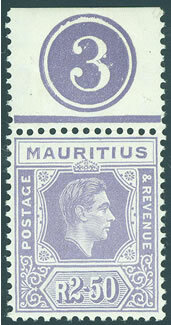 Sc#184 Postmark not listed in previous link. Time code at top "c"
1938 KGVl Set. Without Gum. Look for : Valuable varieties 2c,5c, 10c, 12c Perf 15x14. 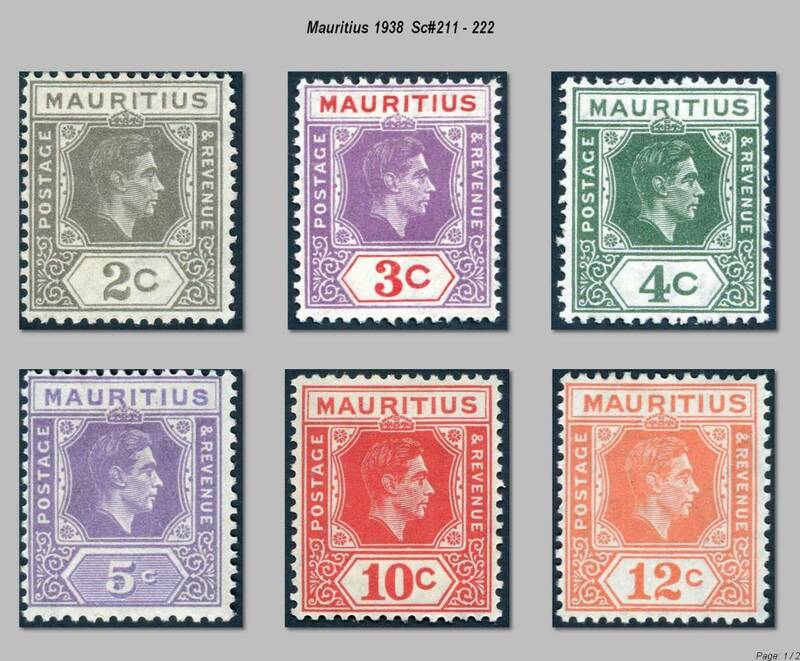 If you are looking for a more affordable Mauritius collection, consider the King George VI issues. There are two sets. 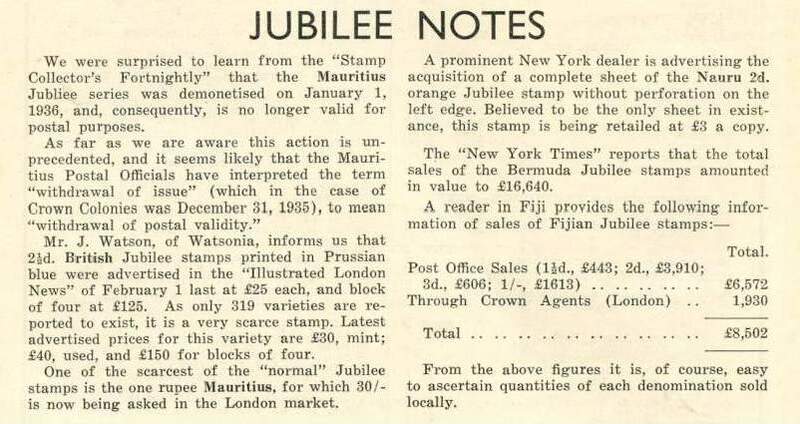 The 1938 keyplate issues (like the Leeward Islands) and the 1950 pictorial set. 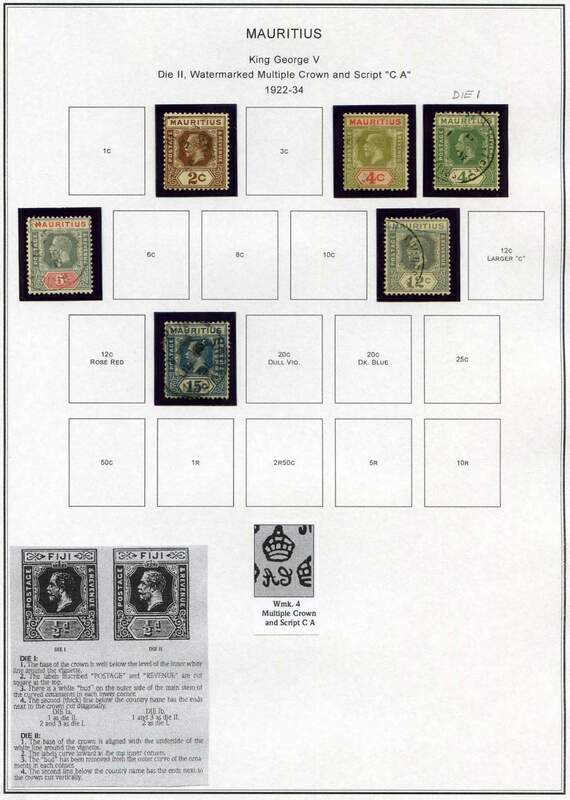 The keyplates are very collectable and offer a wide range from simply collecting the basic values, to trying to find all of the printings. 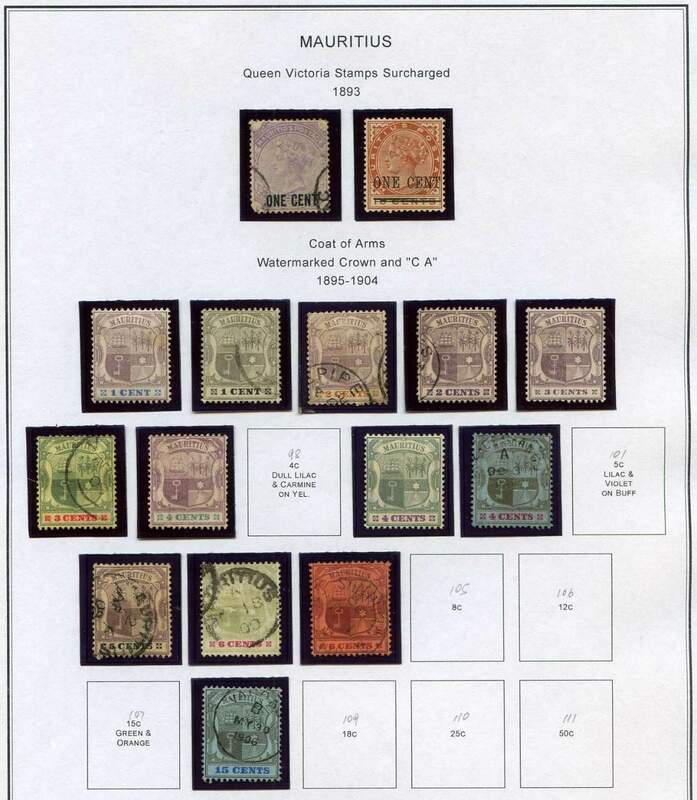 There are perforation varieties, color varieties, and three head dies to look for. So something for everyone. 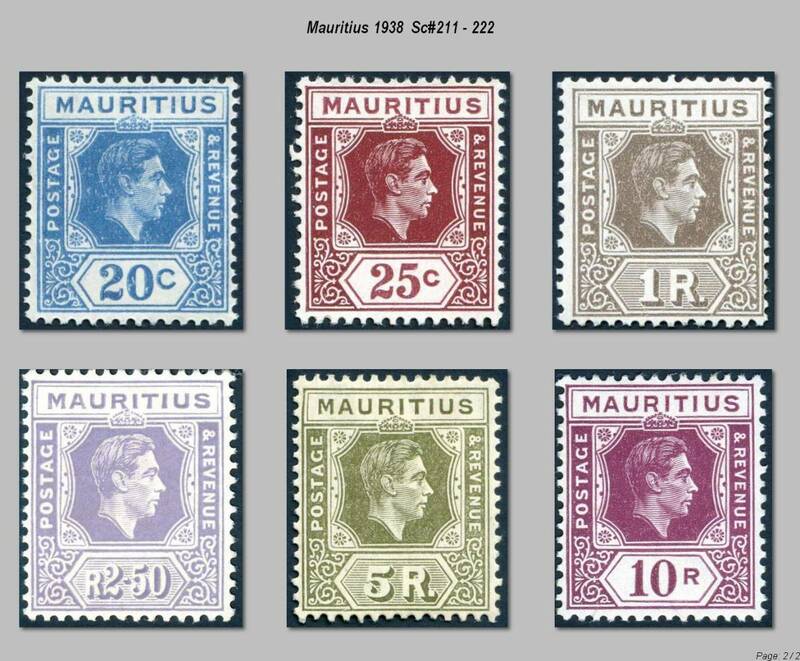 If you are interested in the Mauritius KGVI stamps, I have posted my collection which attempts to find all of the printings on this web page. 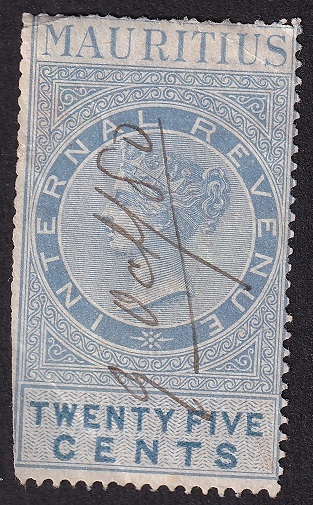 Revenue stamp date cancel Oct 9 1880. Scott doesn't list revenues. Can't provide any additional info. 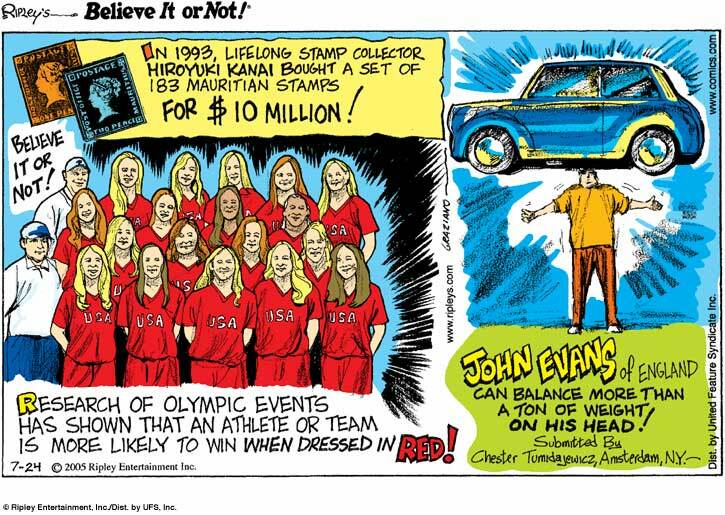 Thanks KGVl stamps. your pages are always a delight. 2 forms of the CA wmk. 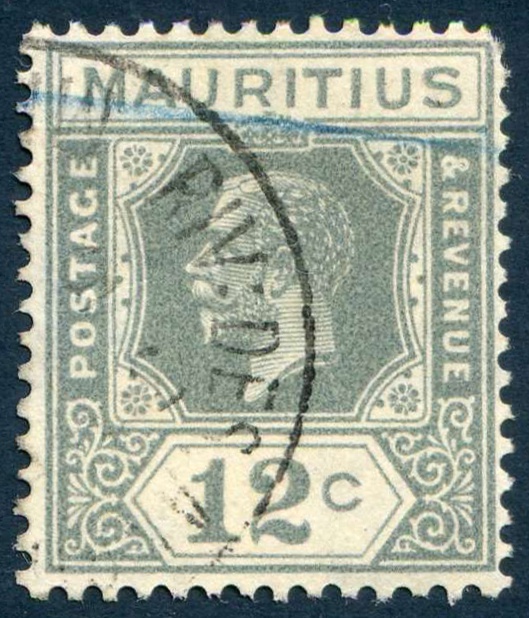 It took 0.64 seconds to lick this stamp.